Jockey Russell Baze, horse racing’s all-time leader in wins, announced his retirement Sunday after the 10th race at Golden Gate Fields. 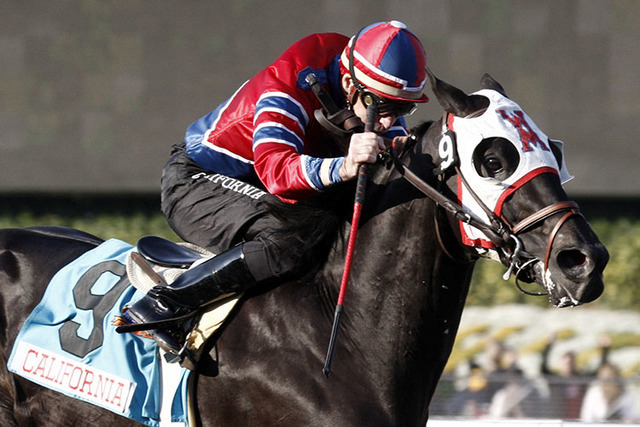 The 57-year-old won 12,842 races in his career. In a weekend full of horse racing news, I will start with the retirement of jockey Russell Baze, the sport’s all-time leader in wins. The way Baze did it wasn’t surprising to his friends. No yearlong retirement tour. No prior announcement. As low key and humble as possible. Baze, 57, epitomized a lunchpail rider, and I say that with utmost respect. You don’t win 12,842 career races by being a night owl. He put his nose to the grindstone every day, ready to give his best. 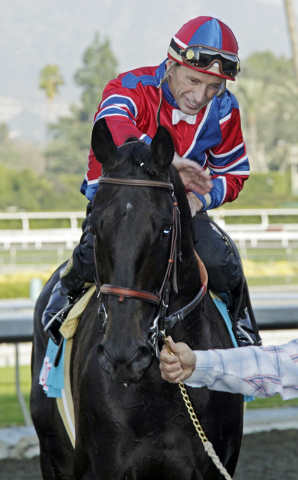 On Dec. 1, 2006, Baze passed Laffit Pincay Jr., who had retired with 9,530 wins for the all-time winningest jockey. There was talk that Baze’s win total was skewed because of his riding on the lesser Northern California circuit, while Pincay had ridden in Southern California and New York. I liken it to baseball comparing the hit totals of Ichiro Suzuki and Pete Rose. Ichiro had more than 1,200 hits in Japan. Comparing that to American baseball is similar to Northern and Southern California racing. Bottom line, Baze is deservedly in the Hall of Fame already. FROSTED — Creator was a nose winner over Destin on Saturday in the Belmont Stakes, but racing fans were buzzing about Frosted. His 14-length win in the Met Mile in stakes-record time was stunning. Frosted ran second to American Pharoah in last year’s Belmont. That shows us again how great a horse American Pharoah really was. If Frosted can stay on schedule, he will meet up with California Chrome and Beholder in the $6 million Breeders’ Cup Classic in November at Santa Anita Park. GOLDEN GATE PICK 6 — There is nothing like a pot of gold at the end of a rainbow to get bettors fired up. The Golden Gate Pick 6 carry-over had grown to $1.4 million and had to be paid out Sunday, the closing day of the meet. An additional $4.5 million was bet into the pool. In Race 8, a horse went down on the turf course. The jockeys thought the turf course was unsafe, so management switched two turf races to the Tapeta main track. By California Pick 6 rules, those two races then became “all winners,” in essence making the Pick 6 into a Pick 4. The final result was the Pick 6 paid out a paltry $146. ROYAL ASCOT — NBC Sports just signed a deal to televise racing from Royal Ascot starting next summer. The network could not have gotten a better advertisement than two American horses — Tepin and Lady Aurelia — winning there this year. Tepin won the Queen Anne by overcoming all obstacles. She was facing top flight males, racing without Lasix and won over an undulating straight course. Tepin had won six races in a row, including the Breeders’ Cup Mile, for trainer Mark Casse. Still, she went off at generous 3-1 odds under jockey Julien Leparoux. Lady Aurelia destroyed her filly foes in the Queen Mary by 7 lengths. She was the 2-1 favorite under Frankie Dettori and for trainer Wesley Ward. There is no doubt in my mind that Royal Ascot will be as popular as the British Open being televised back to the U.S.